Roosi OÜ is an Estonian real estate company that has been founded and registered in the Estonian business register on the 6th of May 2010. The main activities of Roosi OÜ are real estate development, real estate management, real estate building and renovation of its own premises. Roosi OÜ is an example for a cooperation in-between local Estonian forces and foreign investors. Our goal is to grant our real estate objects the best treatment under norms and technical requirements, as well as to develope them furtherly. During the last quarter of 2010, Roosi OÜ has won a state tender for acquiring Tatari 56, Tatari 56b, Tatari 56c, Tatari 58, Tatari 58a and Tatari 47/Vana-Lõuna 2. These properties are located in the heart of Tallinn centeral city district. The total area of the above plots is 12,361 sqaure meters - with 4 buildings located on them. The total building net space is ca 11 000 m². Since the purchase of the above mentioned properties, Roosi OÜ is actively managing, devloping, renovating and renting out the premises. All the above works are done by Roosi`s own workers or by hiring subconsturctors. The outcome is delveloping the premises within reasonable costs and under norms of excelancy. Today Roosi OÜ is managing and renting out premises to more than 90 different lessees, as well as ca 200 parking places. We are daily continuing to enhance maintain and renovate our premises, as well as dealing with rezoning and future planning of the plots belonging to us. Roosi OÜ is having currently 8 wokers. 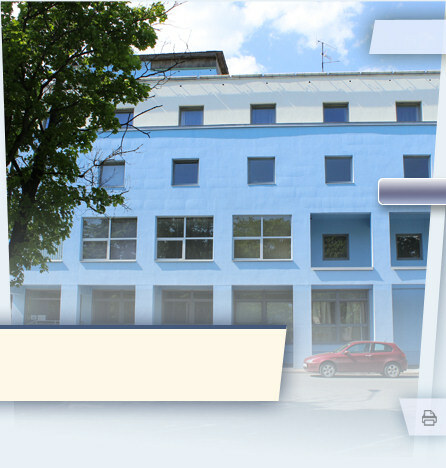 The main headquarters of the company are located at Tatari 56b, Tallinn.